Just before the beginning of the semester, a small group of volunteers from ISFiT Peace Project travelled to Croatia to visit the winner of the Student Peace Prize in 2011, Duško Kostic. Kostic is one of two former winners that the Peace Project have chosen to focus on for next year’s project. The main task of the Peace Project is to make active and specific projects to support the work of previous winners. 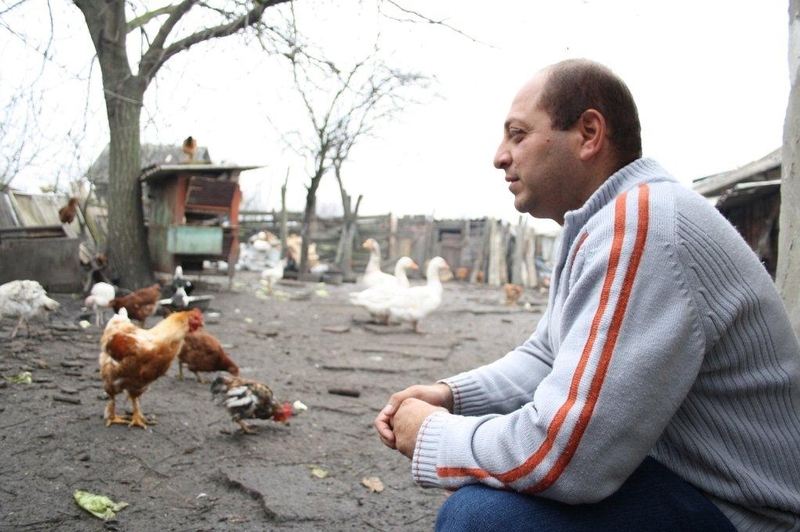 In his hometown Beli Manastir, in eastern Croatia, he is working actively to integrate Roma people into society. He does this by communicating the importance of participating in society through education and work. Kostic works between people, and acts as a middle man between the Roma and the authorities of their city. During the last twelve years he has worked in his own organization, LUNA. He struggles, however, with an office in bad condition. It is both small and worn. Kostic want more space to have room for private conversations and sensitive documents, as well as larger areas for conducting workshops and integration. There is a distinct class divide between Serbs and Roma, even in a small town Beli Manastir. Although Kostic have good reputation there, he as a Roma is often discriminated against. The Peace Project wants to improve his position by supporting Kostic and his good work by building credibility in the media. During a short week Peace Project supported the project by meeting local authorities, Roma people, colleagues and Croatian TV and radio. It all started over a cup of coffee, where Kostic shared his dreams and visions. He talkes enthusiastically about their work, the situation for Roma people, integration and prejudice reduction among Croats and Roma. – We were received with open arms by Kostic, he is friendly and talks a lot! said Maren Gulowsen, leader of the Peace Project. The old office was in poor condition and Kostic has just received a spot where he can set ut a new office for LUNA, by the local government. But the new site requires a lot of renovation. As usual Kostic has a plan. He wants collaboration between vocational Croats and Roma volunteers for the renovation. -It does not only put an end to many bad myths about the Roma people, it also helps both parties to get to know each other, says Kosti. The Peace Project discussed the renovation closely with the mayor and local authorities. Duško´s hard work on integration and prejudice reduction was conveyed in both radio and TV. They showed a new commitment to it after hearing that Kostic was supported by ISFiT and the Peace Project. The mayor was also involved in the praising of Kostic and his work. After an educational trip, the Peace Project achieved a much greater insight into Kostic and their needs and wishes to continue the commitment and work. The Peace Project will continue monitoring over the next six months and has a lot of work ahead to contribute with the plans and desires of Kostic.